I apologize for the lack of updates (well not really) but I've been moving fast and the availability of computers has been extremely limited. I haven't taken a day off in over 500 miles so it's been almost impossible to find the usual 2 to 3 hours it takes to update this blog. I'll try and give a brief update starting after Kearsarge Pass, about mile 787. The hitch back from Bishop to Kearsarge Pass (mile 787) was extremely difficult. Weekends in town bring tourists with families who know nothing about the PCT and would rather smile and wave than pick up a hiker. What's funny is how positive the interactions I have with drivers always are, if only the ones that pass me by had any idea. Tee Cozy and I had split a hotel room together the previous night and started hitching at the edge of town at 9:30 AM. Even holding a sign with money on it brought no rides. About two hours later finally a father and his son on their way back home stopped and picked us up. They were friendly and eager to hear about our trip but unfortunately not headed all the way back to the trail head, so our hitch continued in Independence. Another hours wait on the road with thumbs out did nothing but a small pickup happened to stop up the road from us to pick up a geologist interested in diorite dikes in the Sierra. I walked over and talked our way into a ride in the back of the covered pickup which had been converted to a bed. We finally got back to the trail head at 2 pm with a 7 mile hike just to get back to the PCT. I made it back on trail and pushed over the next pass (Glenn Pass?) to camp at Rae Lakes - a beautiful series of lakes but rather buggy. The next few hundred PCT miles consisted of traversing high mountain passes over 12,000 feet, then descending to between 8,000 and 10,000 feet into elongated grassy meadows bordered by steep mountains. The glaciers had pressed the meadows down and deposited a sandy bottom that saturates each spring with snowmelt and keeps the trees from growing in. Each pass was unique, some appear on the horizon as shear rock walls towering a thousand feet that leave you wondering how the trail could possibly wind its way up and over. Others consisted of winding canyons leading slowly up hill past lakes and rivers of spring snow melt. Often our maps warned about dangerous stream crossings from snow melt but this years low snow meant we could almost always rock hop across or just get wet up to our ankles. Slowly the passes get lower and the meadows become shorter. At Reds Meadow I took a bus into Mammoth Lakes (big ski town) and picked up a frozen 6 ounce filet mignon, pound of bacon and 5 eggs to eat on the easy 36 miles before Toulome Meadows. The filet mignon was cooked on my beer can alcohol stove in front of a group of trail workers camped out at the PCT trail head in Reds Meadow. The eggs, bacon and some black bean mix were shared as breakfast burritos with another hiker, Milo, surrounded by hundreds of mosquitoes frustrated by our rain gear and head nets. I ate the rest of the bacon on top a 10,000 foot pass, surrounded by puzzled/jealous hikers. In Toulome Meadows I took a day to hike into Yosemite to Clouds Rest with another PCTer - Rustic. Clouds Rest is a sheer granite knob extending above Half Dome with 360 degree views of Yosemite. A thunderstorm rolled into the valley as we approached the summit and scared the crowds off, even though the thunder was twenty miles away. I saw some hikers I first met in Kennedy Meadows (400 miles ago!) - Oatmeal and Dandy Greens, a couple from Colorado. The next day I started a difficult 152 mile stretch to South Lake Tahoe split in the middle by Sonora Pass. In that section the meadows become shorter and the passes steeper. The climbing was generally steep, rocky and the heat hotter. Approaching Sonora Pass everything became a moonscape of broken gray rock with almost no vegetation. Near the top I met a couple out for an overnight backpacking trip who asked me where I started from. When I said Mexico, they said they were from Mexico and immediately peppered me with questions! I was in a hurry to get to town and mail my borrowed 2.5 pound bear can home (Alison I'll have my folks mail it your way soon!) so we parted ways. I got to the road, temporarily passing Oatmeal and Dandy Greens and hitched to Kennedy Meadows Resort (different from mile 702 Kennedy Meadows). The resort is really just a store, restaurant, RV park and dozen or so cabins but they let hikers mail bear cans home for $15. When I walked into the restaurant for dinner I saw the two weekenders from the top of Sonora and they invited me to share dinner with them! After resupplying at the store I camped nearby and had an easy hitch back to the trail head at Sonora Pass. 3 days later I arrived at the highway leading to South Lake Tahoe, stuck out my thumb and within two minutes a woman pulled over. She was a teacher on summer vacation and when I told her about my mountain biking she immediately thought of her husband, also a mountain biker. She drove me to the post office, motel and then came back a few hours later with the husband and took me out for a sushi dinner in town. Afterwards they dropped me off at Harahs, a casino with an all you can eat buffet infamous to PCT hikers where I met Oatmeal and Dandy Greens for a second dinner. I stuffed myself and headed back to the motel on a bus on the verge of puking up some very expensive free food! I will always be grateful to the amazing people that help out a tired hungry and smelly hiker! I left South Lake Tahoe for an easy 8 miles with some through hikers I'd never met before. By not taking any time off in Tahoe I seemed to pass a lot of new people. We crossed some very rocky trail and camped near Aloha Lake, a beautiful spot with almost no bugs! Amazing for the lake, I think the lack of soil of any kind in the area must somehow inhibit the bugs? The next day I started doing my usual 25ish miles a day, solo but ran into a hiker I last saw leaving Tehachipi almost 1,000 miles ago - VP (Vegan Paul). 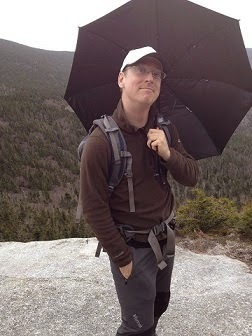 The terrain became more gradual and wooded so the views were fewer but the hiking easier. I rolled into Sierra City a few days later and ate my fill of burgers and ice cream at the tiny store/grill in town. The owners of a bed and breakfast open their backyard and first floor to hikers. It makes things a lot easier when there is easy lodging in town. As I was sitting in town, Oatmeal and Dandy Greens showed up! Since we had been running into each other we decided to hike together for a while. A little while later Rock Steady, a hiker I met on my second day and hadn't seen since Big Bear (~mile 350) showed up too! It's amazing how you met and lose track of people on this trail. Dandy Greens, Oatmeal and I hit the trail the next morning, starting a 2600 foot climb up the Sierra Buttes - the very end of the Sierra Nevadas. Hard to believe we had been in the same mountain range for 500 miles. The section was fairly hilly and after another 2,000 foot climb we saw a sign advertising a trail angel in Bucks Lake, a tiny town we originally intended to skip. At the time we decided to pass by but when we got to the road, there was Nancy the trail angel picking up two hikers ahead of us. When she offered burgers we couldn't say no and took her up on the offer. We ended up staying after getting fed a huge lasagna dinner (after the burgers) and a huge breakfast of pancakes, eggs, grits and bacon! Also staying there was a PCT hiker who is giving cello concerts along the trail named Cuddles. The only way the university he works for would let him go was if he gave concerts along the way so his wife drives to the locations with his cello and he plays for an hour or two. He gave a short prequel concert to us since the actual concert was the following night and it was amazing. The next day we descended 5,000 feet to Belden, passed through and climbed back up over 5,000 feet into Mount Lassen National Forest and eventually to the PCT half way marker at mile 1326! Shortly after was Chester but it was 100 degrees and every motel with air conditioning was booked! Since it was the weekend the library was closed so we decided to just pass through and keep pushing. Another day brought us to Drakesbad Guest Ranch which was talked up as hiker friendly in the guide books, promising huge dinners for cheap prices and free swimming in hot springs! Sadly the ownership changed last year and they no longer serve hikers like they used to, unless you want to pay $150 a night to stay there. Disappointed, we left that evening and night hiked another 6 miles or so. Coming into Drakesbad were mud pots and steam vents heated by magma in the earths crust, which was interesting but the heat did not let me stay very long. The next day we put in 21 miles to get to Old Station just as the heat reached 100 degrees yet again. On the way in we ran into Double Sprainbow and Roid Trip, a couple who I last saw just before Mount Whitney and had since gotten married at a trailtown by a newly ordained PCT hiker! It was awesome to see them again! Unfortunately they're pretty slow so it might have been the last time. In front of us lay the Hat Creek Rim, a 30 mile dry stretch along a ridge of volcanic rock formed by a fault in the earths crust. A south bounder several hundred miles ago told me about the water cache 18 miles in, supposedly huge and with a phone number to call if it ran dry. Still, with the heat above 100 during the day I had visions of the stretch out of Tehachipi and took 4 liters to camp that night and make the cache early in the morning. Oatmeal, Dandy Greens and I left the store at Old Station at 5 pm and got to a lava tube along the trail around 6:30. We took our time walking inside the cool tunnel formed by fast flowing lava long ago and hiked out to the top of the rim to watch the sunset hit Mount Lassen and Mount Shasta way off in the distance with VP. That night we hiked until 11 pm and slept only 5 hours, waking just after 4 am to finish the exposed hike along the rim. We came into the highway that leads to Burney (where I am now) at 3 pm but had a hard time hitching. I called a motel in town which happens to work as a network for trail angels who give rides to hikers and got us a ride to town! As we waited for our ride in the shade a 71 year old Japanese hiker named Toyo showed up. He speaks just enough english to get by and amazingly I saw him last after Reds Meadow! I have no idea how he's keeping up with me but it's incredible. In Chester I had to take care of some logistical problems. I had tried to order a Golite umbrella to arrive there but they shipped it to my billing address by mistake. Hopefully a new free umbrella is waiting for me in Dunsmir. I also ordered some shoes which were promised to be shipped overnight to Burney Falls State Park. Sadly they did not arrive yet. So I'm stuck here waiting for them for a few more hours. Honestly though I'm pretty tired so this probably works out for the best.